The Medium Duty Racking System / Racks is an average application between light and heavy-duty applications. 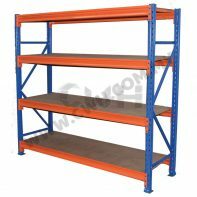 Longspan shelving is created for loading / unloading goods manually without mechanical equipment. Stored goods can be from smallest components to large. 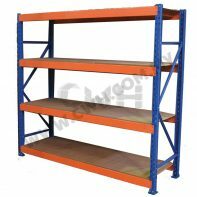 Our longspan shelving rack system is one of the versatile solution to a vast majority of business. Our longspan shelving is a durable rack system that allows maximum storage strength with quick and easy assembly. With a UDL(Uniformly Distributive Load) capacity between 500kg – 1000kg per level, our longspan shelving rack system has alternatives for a countless list of storage needs. Thus, the system is greatly reliable and provides a save & solid environment.